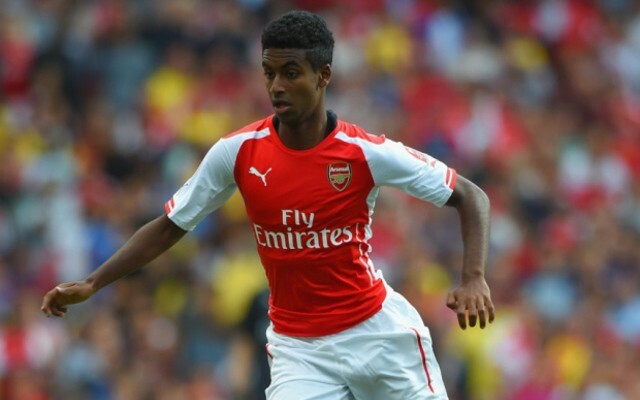 Arsenal starlet Gedion Zelalem is on the brink of extending his deal with Glasgow Rangers, according to the fallen giants’ head coach Mark Warburton. The youngster moved on loan to the Gers during the summer and has impressed at Ibrox to date, starting eight games and coming on as a substitute on one occasion in the Scottish First Division. While the original terms of the loan deal stipulated that the wonderkid would return to the Emirates Stadium in January, Rangers are keen to keep the 18-year-old at the club until the season’s end. After 14 matches, the Teddy Bears find themselves top of the Scottish second tier, having won 12, drawn one and lost one of their matches to date. Remarkably, they have scored 40 goals—12 more than second-placed Hibernian—and have a goal difference of +31. Warburton has confirmed that he wants the youngster to remain at the club to help them secure promotion to the top flight, and he cannot foresee any problems that will prevent Zelalem from extending his stay. “So far, we are in good shape,” Warburton said, as reported by the Daily Star. “The feedback from Arsenal has been very positive. “He is speaking to his family and, hopefully, we are closing to securing him,” he continued. “Liam has been up. He left his role as Academy Director and now has an important role in charge of the loan players. He was up for the Hibs game and I speak to him on the phone regularly. “Our job is to make sure we have an environment here, which is conducive to his development. “The current deal is until January, but, as long as everyone is happy, we will extend that,” he confirmed. “I have been delighted with his contribution and the last game he played for Rangers was his best so far. Rangers, who have won the European Cup Winners’ Cup and 54 Scottish titles, were demoted from the SPL in 2012, and Warburton will be desperate for Zelalem to inspire them back to the top table.